Kicking off the 2018 EarthEcho Water Challenge! 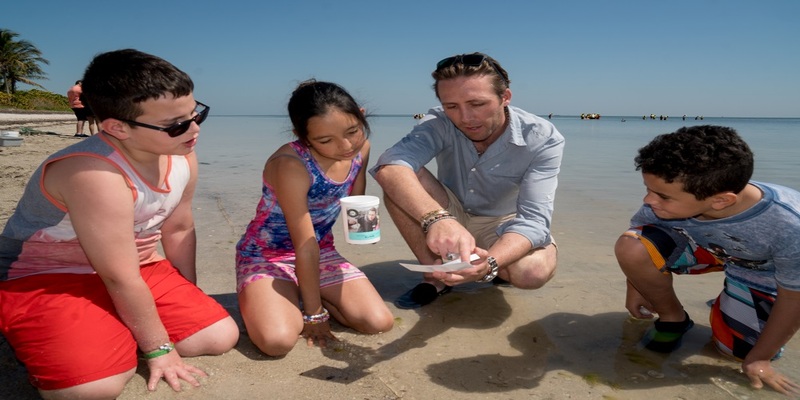 On March 22, the United Nations World Water Day, join Philippe Cousteau, Jr., nonprofit EarthEcho International, and more than 1.5 million citizens from 143 countries in conserving and protecting water resources around the globe by participating in the EarthEcho Water Challenge. Through the simple actions of testing water quality locally, sharing data internationally, and taking action to protect water resources, individuals, schools, businesses, and community organizations can help make their communities healthier and more sustainable. This year marks the 17th edition of the Challenge, which kicks off with worldwide community events hosted by sponsor Xylem Watermark, a new Water Challenge Ambassadors program, and a special launch event in Greenville, North Carolina. Protect – Armed with knowledge about local water resources, you can use the information and tools available at www.monitorwater.org to protect local water resources every day. World Water Day 2018 also marks the launch of the EarthEcho Water Challenge Ambassadors program, positioning 20 young environmental leaders ages 13-22 from across the United States to protect water resources in their local communities. Coordinated by EarthEcho International’s Youth Leadership Council (YLC) and sponsored by Xylem Watermark, the Water Challenge Ambassadors will increase knowledge of local water resources throughout their communities by leading citizens through water quality monitoring events and water restoration and conservation programs. To learn more about this year’s Water Challenge Ambassadors, visit http://monitorwater.org/ambassadors. One of the many EarthEcho Water Challenge activities taking place during World Water Day is a special event hosted in collaboration with the city of Greenville, NC and Love A Sea Turtle, a youth-led environmental awareness nonprofit focusing on a range of water-related issues. The event will engage 100 local students from A.G. Cox Middle School in water quality monitoring and conservation efforts at River Park North, home to a new state-of-the-art water quality lab and the first ever EarthEcho Water Challenge field testing station. Portions of the event will live-stream on EarthEcho’s Facebook page. On World Water Day, EarthEcho Water Challenge sponsor Xylem Watermark will host employee-led events to conduct water education programs and water monitoring activities with students in schools and local youth organizations worldwide, including sites in California, Connecticut, Illinois, Indiana, North Carolina, Ohio, Texas, Virginia, Australia, Germany, Hungary, Italy, Sweden, and the United Kingdom. These events will introduce young people to their local water resources and allow them to contribute to our understanding of water quality worldwide.